Just two posts ago, I shared pictures of fall. 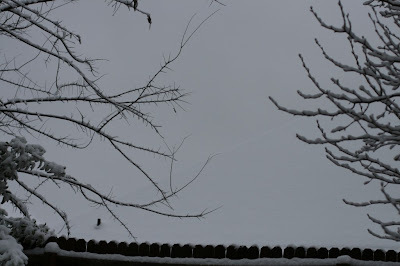 Well, here are pictures of winter. . .our first snowfall of the season. Our backyard looks pretty different! Its been transformed into a beautiful winter wonderland. 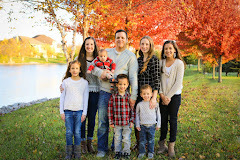 We have enjoyed every minute of it. You never know in North Texas if you'll get snow or how much or how many times even! I love that we live somewhere where theres a good chance of it snowing at least once a year. You can't beat that. 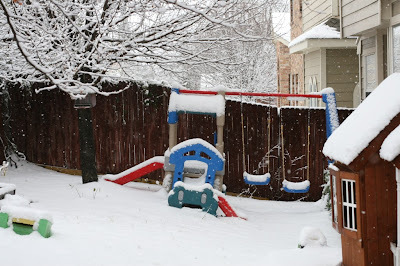 It was so exciting for the kids to watch the snowfall on Sunday afternoon. We spent two days playing in it, building two snowmen, snowball fights(which always end with someone crying:), snow angels, making snow cream, eating icicles, and sledding in our backyard and also at a new secret hill we found. Not telling the location. . .its all ours! hehehe. 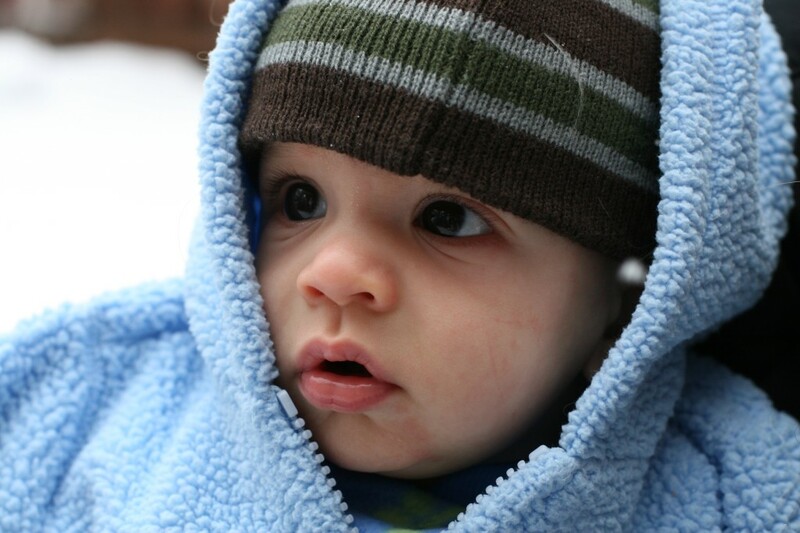 We bundled up Ammon and took him outside for a little bit so he could see his very first snow. He was cooing at it as it fell:) He was very curious about what all that white stuff was. We gave him a little taste too. 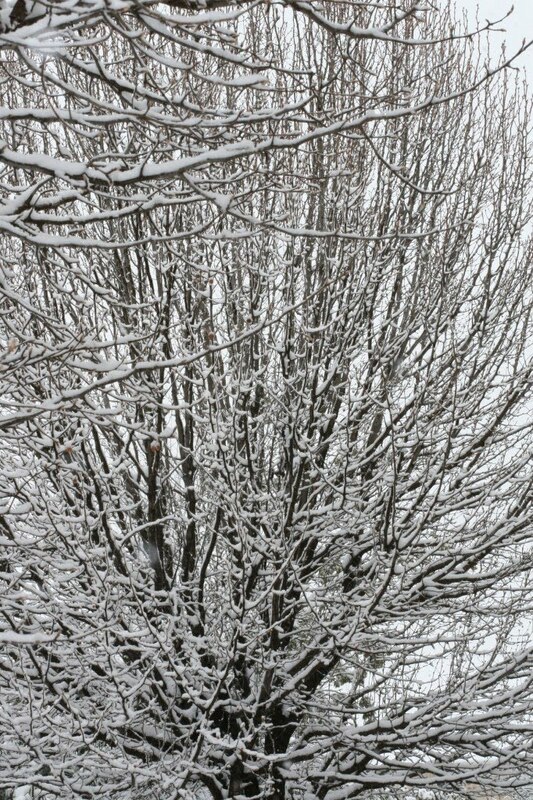 One of our backyard trees enveloped in white. 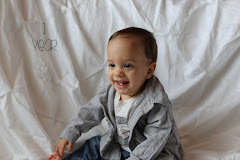 A cute kid enjoying it all. 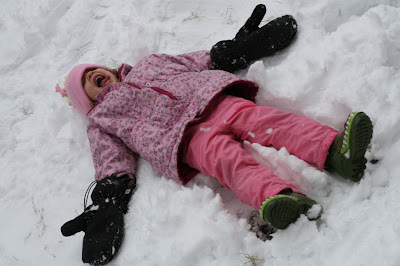 And a silly kid making a snow angel with her tongue sticking out. Cali was so funny out there. She was eating everything. We couldn't get her to stop. She also just kept on flopping herself onto the ground and rolling around in it. 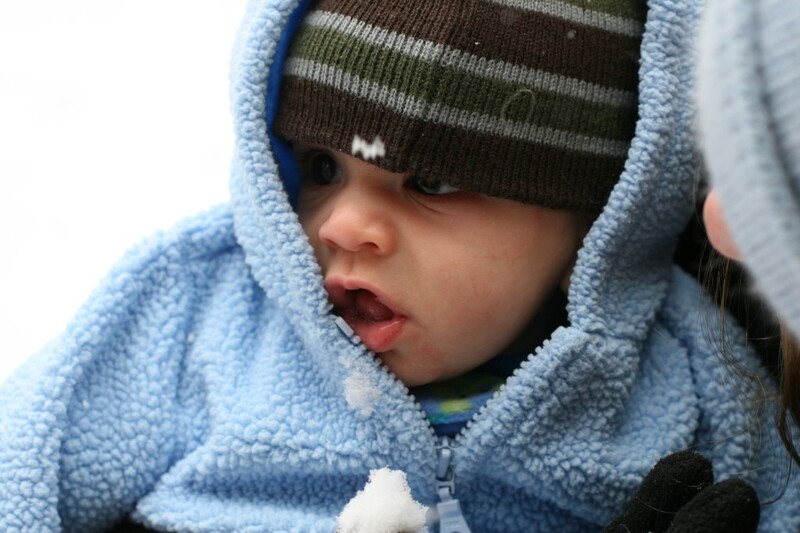 Sledding with Daddy in the backyard. Didn't get any pics of the hill we found and the awesome time we had sledding on Joey's snowboard there. 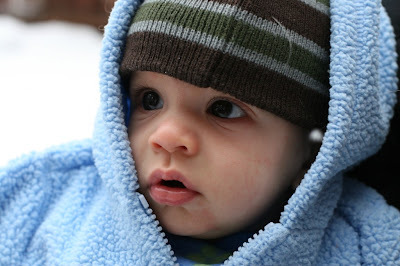 Mainly because Joey and I took turns in the car holding Ammon-way too cold to stay out more than a few minutes with him. His snowboards make a perfect sleds! 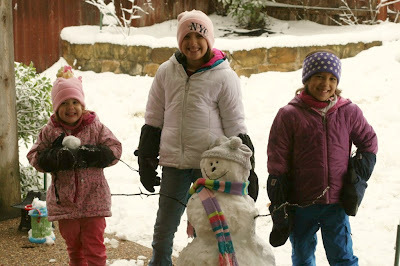 The girls and one of their cute lil snowmen. I took this picture because I was amazed at how you couldn't tell where the sky ends and the house behind us begins. Can you? Its hard to even tell there is a house there! But if you look close you can see at the bottom left toward the fence the proof that there is a house. We got a few inches, about 5-6. Pretty good for Texas! And its still there. Some has melted away but we still have plenty. Sadly we can't go and enjoy it anymore though. . .Ella got sick the night after we did sledding(Monday). More sickness over here. Bummer. 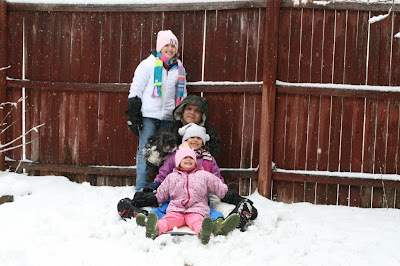 But at least we were able to enjoy two days of snow fun! 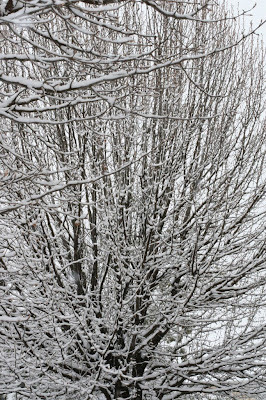 I love the way the trees look when they're covered with snow. 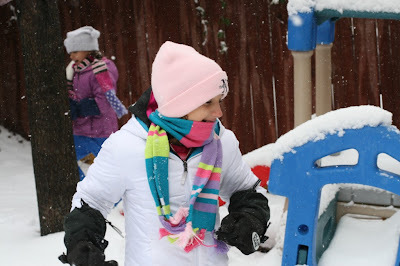 It's always so much fun to play in the snow. I could do it all day. I can't wait to take the kids skiing some day. Now that's some good clean fun! Sorry to read you are sicky again. 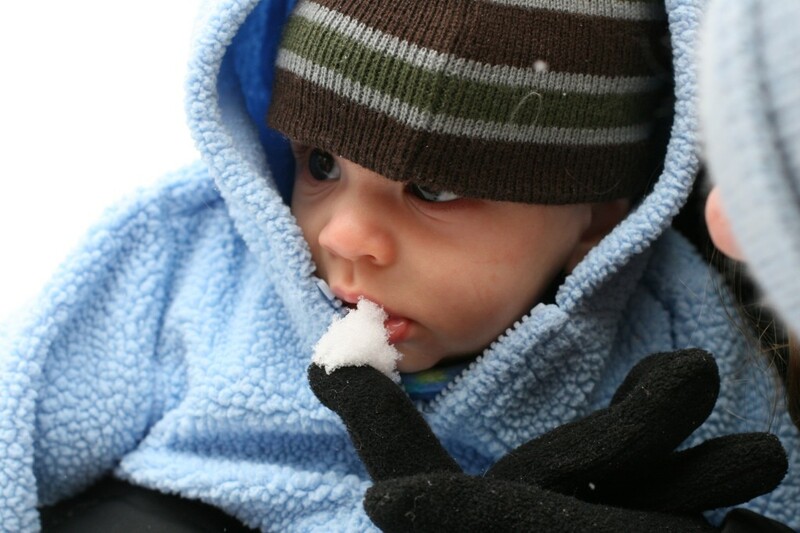 While I love the fact that we can have ice cream after school, a tiny part of me misses snow. How beautiful are these pictures. 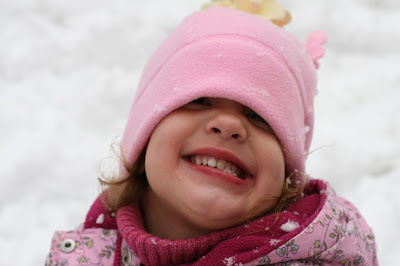 Love the smiles and heard about snow creame from another southern gal friend of ours sounds interesting. Darn :( sorry Ella not feeling well go away already germs. Hope she gets to feeling better. 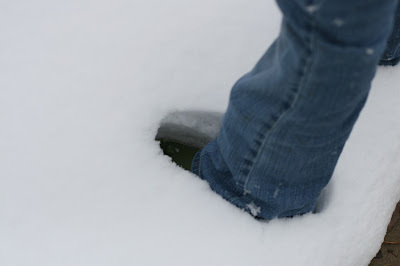 I always like hate walking on the snow for the first time because I want to make it stay pretty forever. Cute fun by everyone.